Goldie Bounce Golf would like to welcome our newest advertising sponsor - Bayside Realty Consultants! Looking for a spot in a private golf course community, a buildable lot or investment property? Why not let Tom and Sandra Hoy along with their friendly staff assist you in successfully navigating the real estate market on the Cape and Islands. The experts at Bayside Realty Consultants will create the perfect strategy for you to meet your real estate goals. 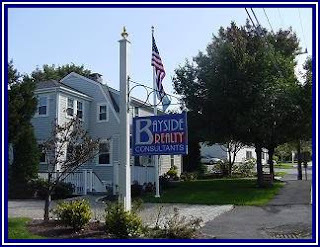 Stop by the office ~ located on scenic Bridge Street ~ on the way to Sesuit Harbor or give them a jingle at 508-385-7777. You can find them online at www.baysiderealtyconsultants.com where you can even chat live with an agent. There's no better time than now to invest in real estate!